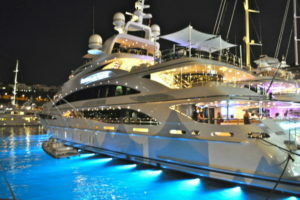 To rent a yacht for the Mobile World Congress is the perfect balance between business and pleasure. Private, intimate and exclusive, it takes the facelessness out of business and allows you to form lasting relationships. A yacht is a different solution to your executive’s accommodation and an exceptional venue for your companies’ product launches, private meetings, parties and events during MWC18 and 4YFN. 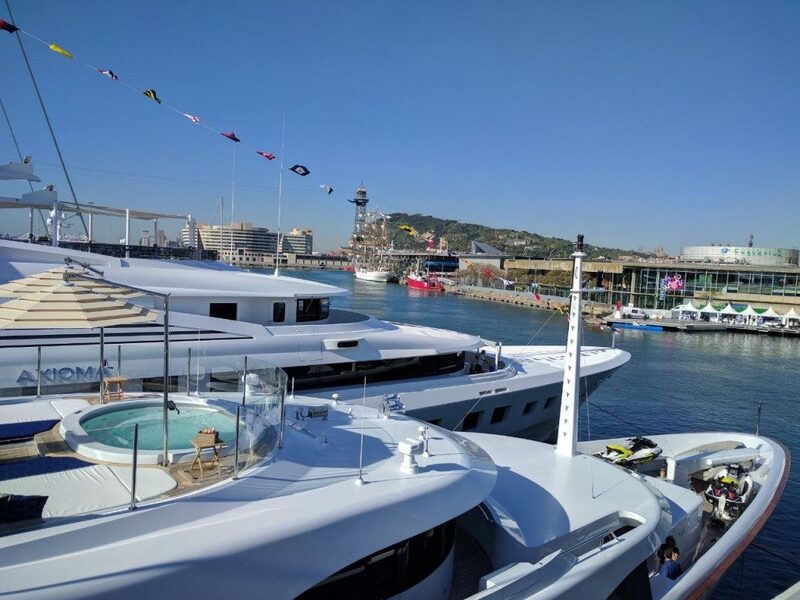 A corporate yacht charter is a unique way to gain exposure at an event such as the Barcelona Mobile World Congress while providing a convenient and private platform to host memorable meetings outside of the typical boardroom. In an age where relationships and bespoke experiences are key, a luxury charter yacht is the ideal place to make a meaningful impact with clients and suppliers. 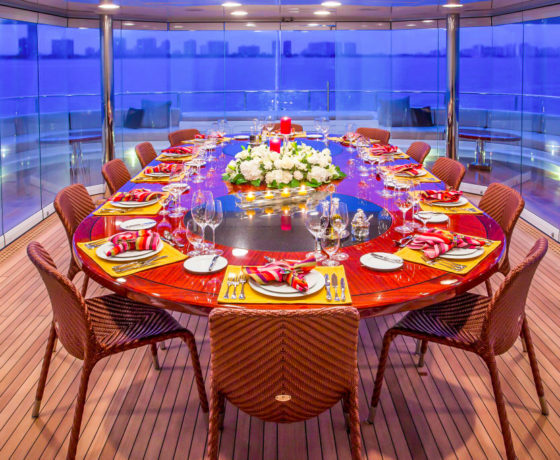 Rent a yacht for Mobile World Congress 2018 to hold team meetings on the aft deck al fresco, close a deal over breakfast on the sundeck or gather prime influencers around the dining table for dinner. Ready to start your search to rent a yacht for Mobile World Congress 2018? Click here. 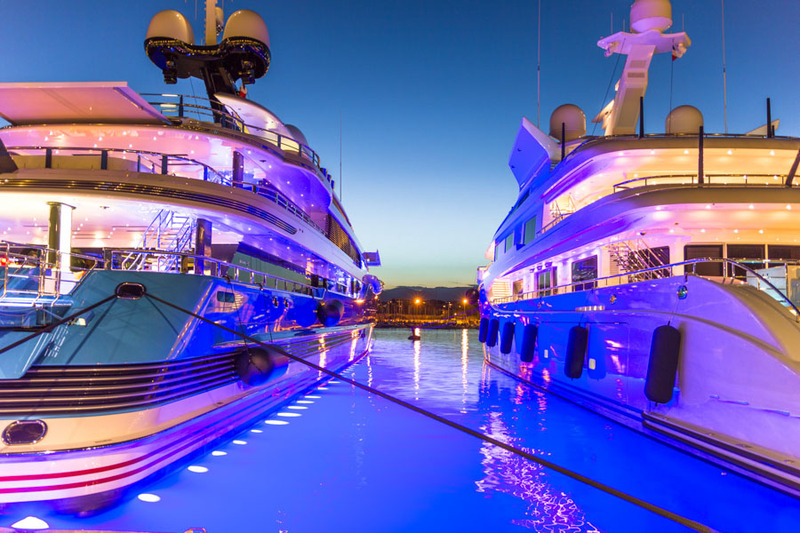 Forget booking boring venues for your events; none can compare to the exclusivity of a yacht rental for the Mobile World Congress. Flexible and unique, events can be tailor-made to suit the specific needs of your business and clients. From more intimate cocktail soirees to opulent parties or impactful product launches, rest assured that knowledgable and professional charter crew will ensure that everything runs seamlessly, with the style, service levels and polish you will only find on a super yacht. like Barcelona’s Mobile World Congress to provide an unparalleled reward scheme for top performing employees, as a corporate retreat or to entertain existing and potential clients. When it comes to a venue for team bonding or strengthening relationships, a luxury yacht is an imaginative and distinctive option. Chartering a yacht is a unique experience. Every yacht and every client is different and choosing the right charter yacht means taking into account a number of important factors. Its maintenance, management and crew are all decisive too. At charterdart we are attentive to your needs at every step of the process until these photos become your reality. We provide tailor-made yacht charter experiences with a unique level of local access. Our aim to take your yacht rental experience and event to the next level. Use charterdart’s interactive virtual vacation visualizer to easily research, plan and book your next dream yacht experience. Get in touch with our expert team and discuss your ideas. We will curate a tailored proposal featuring luxury yachts, crews and possible itineraries that match your needs. It is time to sign the charter contract, which has been developed to protect your interests as the client, as well as the owner and crew. Use charterdarts’ unique personal planner to map out your personal preferences and adapt your custom itinerary before the start of your charter in Spain.